Pistachios are one of the oldest nuts that were commonly used in the world. Pistachios contain nutrients such as carbohydrates, proteins, fats, dietary fiber, phosphorus, potassium, thiamine, vitamin B-6, beta-carotene and many more. All of these nutrients make pistachios ideally suited for better health. One of the biggest health benefits of pistachios is that they are heart-friendly nuts. The antioxidants, phytosterols, unsaturated fatty acids (both polyunsaturated and monounsaturated fatty acids) are great for promoting a healthy heart. Pistachios, with their lower calories, high protein, low saturated fat, and high unsaturated fats, are an ideal contender as compared to other nuts and dried fruits for ideal weight management. Pistachios contain carotenoid antioxidants such as lutein and zeaxanthin. These antioxidants help in reducing the risk of contracting age-related macular disease in the elderly. 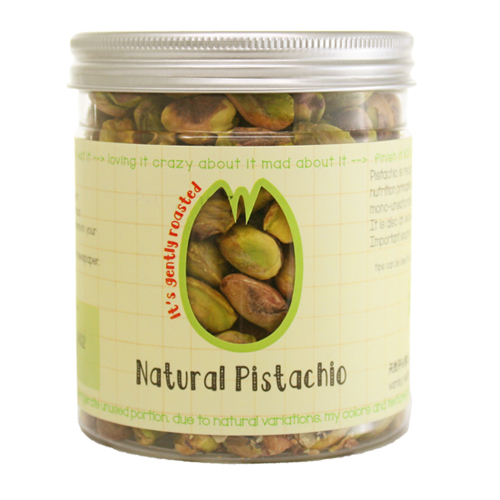 Being especially rich in vitamin B6, which is important for keeping hormones balanced and healthy, pistachios are a good option for those with problem periods. Consume straight from the bottle as snack. Sprinkle some pistachio nuts on top of mixed green salads. Add pistachio nuts to your favorite hot/cold cereal or yogurt.